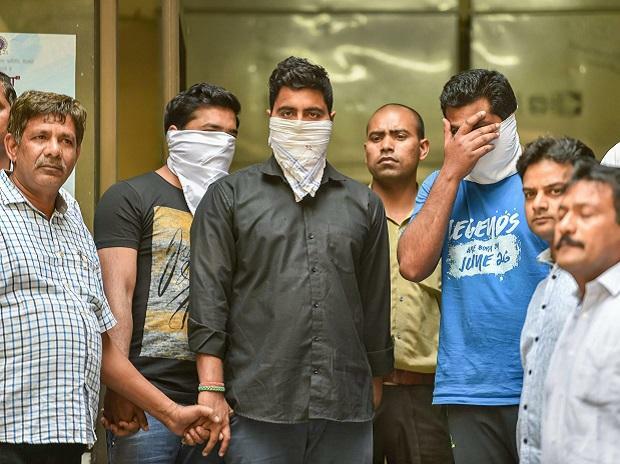 Delhi Police on Sunday arrested one coaching centre owner and two other teachers in Delhi’s Bawana for their involvement in the Central Board of Examination (CBSE) Class X and Class XII paper-leak episode, according to media reports. Meanwhile, Delhi Police Joint CP Crime Branch briefed the press about happenings of the leak. According to the police, the examination papers are generally supposed to be opened 15 minutes before by the invigilator, but the economics paper was opened about 30-40 minutes earlier. Following which Tauqeer, one of the accused forwarded the paper to the students. The accused were identified as Rishabh and Rohit, teachers at a private school, and Tauqeer, a tutor at a coaching centre in Bawana, reported Press Trust of India. The coaching centre owner, Touqeer, had allegedly leaked the economics paper half an hour before the exam and sent it to the teachers on WhatsApp, the police told PTI. Human Resource Development Ministry Secretary Anil Swarup announced the suspension of Central Board of Secondary Education (CBSE) official K. S. Rana and the institution of a formal inquiry against him. “On HRD Minister Prakash Javdekar’s direction for swift action against culprits, the CBSE has suspended K. S. Rana, who was found lax in supervising examination centre 0859 with immediate effect. A formal inquiry has been instituted,” Swarup said in a series of tweets. Ever since the papers were leaked, scores of students have been protesting to express their dissatisfaction over the poor governance and the CBSE re-examination decision.